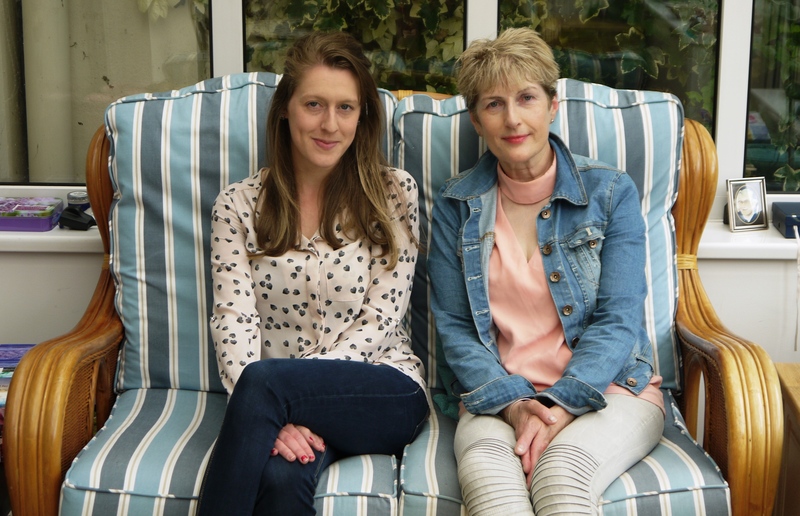 FOR most of us the very thought of cancer is a nightmare we fear in the back of our minds – but to writer Cathy McCarthy though the illness presented the most difficult period of her life – it also gave her opportunity to live her “dreams”. 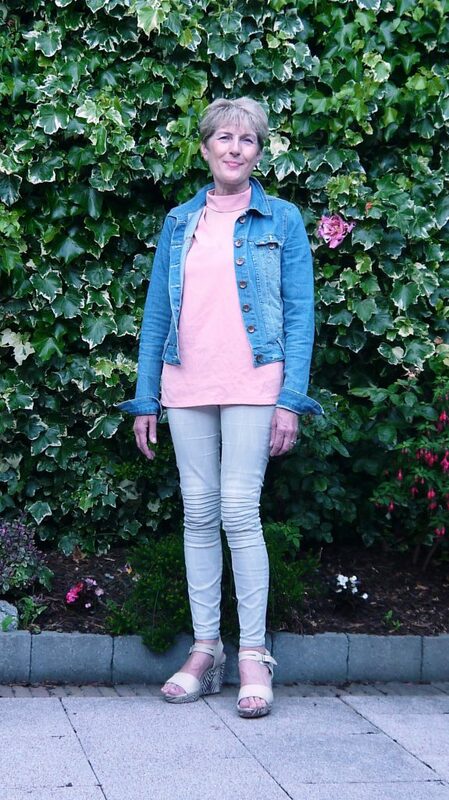 Cathy, 55, from Stillorgan, Co Dublin, is no ordinary woman – it is clear she has managed to reach an inner peace that most of us could only imagine – but that peace was gained quite ironically by fighting back through the darkness of breast cancer. The writer has just released her second book Stronger Than Yesterday – a self-help guide to help those trying to overcome adversity, be it battling illness, recovering from the loss of a loved-one or job, or a variety of challenges that inevitably life thrusts upon us from time-to-time. The mother-of-three, who had worked in an unfulfilling admin job before she was diagnosed with breast cancer in 2007, wrote diaries to deal with her pain, her fear, and eventually used writing to help find a way out of the nightmare and beyond, even carving out a career as a writer for herself. “No one wants cancer,” Cathy said, “but the journey I took taught me about myself. It was the wisdom I gained from my journey. It taught me about myself, my gifts and talents. “I’d always loved writing, but I never believed I could write a book. To see that coming to fruition, it was so humbling and I’ll never take it for granted. “I’m from Athlone originally and as a youngster, I was sick. I was anxious and I never thought I had anything to say. I worked in admin as a secretary. I fell in to it. I was very organised but I didn’t feel it was where I should be. “I was diagnosed with cancer and it challenges your way of thinking and the journey began. In a way I bounced forward because my cancer journey changed my life and it gave me meaning and changed my life for the good. 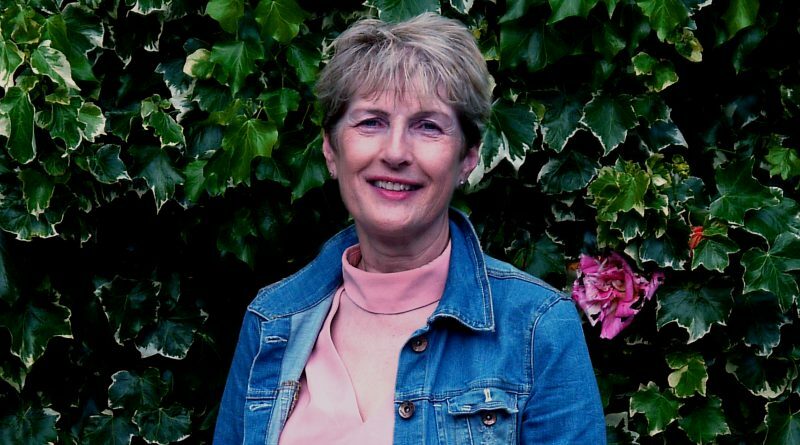 A lump in Cathy’s breast was removed and she went on to have chemotherapy and radiotherapy. 2007 and 2008 were very difficult years for the mother, who did not plan, like any of us to meet such adversity. Her children were studying for exams – and her daughter, Emma, 27, whom she is incredibly close to, suffered as her mother fought the illness. The writer never realised until much later that she had been too busy fighting to notice Emma’s pain. “I kept thinking ‘what if this is going to come back?’. My daughter was 19 at the time and she was very upset. I wrote about it in my book. Emma looks back at it now and she really could have done with counselling. Cathy now reflects on her illness and the time she spent in recovery and realises just how valuable families are in Ireland. The chats and the laughs, the cups of tea and even the giving out, are all important markers of a united family. Without a family, friends, a support network, fighting adversity becomes so much harder. “When I was sick my son would come upstairs to ask did I want a glass of water. It was such a small thing but it meant so much. My family were always there for me. They always will be and me for them. Cathy has adopted a life of mindfulness – the practice of living in the moment – coupled with daily walks and pilates. She practises meditation, eats healthily. She is a vegetarian and though she isn’t religious, Cathy is spiritual. 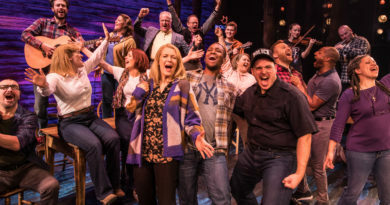 The writer talks of “sending light and love” to friends who are going through adversity. She believes in a life based on enjoying the “little things,” those moments that pass us by so quickly before we realise their value. She passes on this advice to readers in her book – recalling moments of sitting with her children enjoying a cup of tea and a chat after school – moments that were so precious, yet could easily be missed. “My advice for people in the book on how to come through adversity is to stop and reflect. I honestly find the biggest thing is to take one step at time. If I had thought about the whole year ahead and of my treatment, I wouldn’t have got through it. 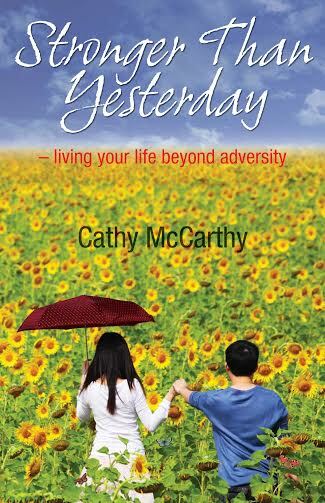 The book includes a chapter on mindfulness and accepting yourself in “good or bad form without judgment.” Cathy advises people to switch off to spend time with family and friends. She says when she sits down with her son at the kitchen table, she turns off her phone. “I won’t answer the phone. If I do, that moment has gone. If I jump up that moment is gone and I’ve learned that. If you miss it, you can’t get that lovely moment back. It’s the little things. “I was inspired by my dark times during the illness. I had some very dark days, particularly in the early days. Thankfully I came out the other end. Proceeds from the book are going towards Jack Kavanagh, a young windsurfer who was paralysed in a accident in 2012 and the High Hopes homeless choir in Waterford, whom Cathy has spent a lot of time getting to know.